In case you missed the key phrases, look again – did you notice surveillance is no longer about merely observing? Surveillance is clearly about influencing and directing people. In the olden days, government surveillance was largely about whether the neighboring king was preparing for an attack, or, at most, whether minister’s roving eye had caught the fancy of the king’s consort. The average population was almost entirely excluded. Today, thanks to the advanced surveillance technology, surveillance has become all-encompassing – well, nearly so. Governments not only routinely tap your phones and intercept your emails but also track your every single movement and can form an opinion about you, based on their analysis of the data they have on you. There’s practically no part of your life that’s hidden from the government’s eyes. The intriguing part is that government surveillance of citizens isn’t done by totalitarian socialist regimes alone – developed nations with a full-fledged democracy may be equally guilty of it. Sometimes, private actors can unleash huge damage to unsuspecting users. All digitized surveillance, whether government surveillance programs or corporate espionage plans, must rely on exactly three things: Artificial Intelligence (AI), Networked systems and Big Data. AI, for instance, leverage facial recognition and make sure every individual entering a public place (e.g. a park or a railway station) is accurately recognized and traced. That means in case of accidents or attacks, authorities know all the actors present. Networked systems help all information collected to be integrated. That means the teddy-bear you bought for your two-year old, the funny cat video you shared with your weekend football gang or the reviews you left on the museum’s website – all of them can be integrated into one database. Big data is the putting to use advanced computing to handle massive data sets to make interpretations and predictions regarding human actions and trends. In essence, big data tries to make sense of the every-expanding information that data collection systems bring in. AI collects data, networked systems exchange and pool data, while big data makes sense out of data. Public places install face recognition systems. Everybody entering is recognized. Airlines track passenger behaviors, both at the airport as well as during the journey. Railway tickets require national IDs. The government knows where and how often you travel. People of certain beliefs or ethnicity are required to install a certain app on their phones (You know what apps can do, right?). The most popular social messaging app in your country censors conversations, bans usage of certain words, strongly discourages criticizing governments (local or friendly governments elsewhere). It may selectively decide not to deliver certain messages. Suspicious conversations over social media platforms would be logged. Spyware virus that cannot be traced by routine firewalls sit inside computers of unsuspecting individuals and witness Skype conversations. The government conveniently forgets to enact or enforce laws regarding privacy rights of individuals. That way, the government has unbridled access to all your data. If you thought the above happened only in some extreme cases, think again; the above can happen across the US, the UK, Germany and, not surprisingly, China. Is this kind of face-recognition going to be ubiquitous? The government just doesn’t know what you’ve already done, it also tries to predict what you’ll do next. Now that you’ve agreed governments know almost everything about you – apart from the info you so willingly let apps access to – it’s a good time to know how that’s used. Preventing dissenting miscreants from creating further trouble: Purchasing of train tickets in China requires national IDs. Someone who’s had a history of being harshly critical of government and can potentially create trouble upon reaching the targeted destination may be refused train tickets. Artificial Intelligence getting better at facial recognition: Even if the ID is not required, Chinese startups have designed AI tools like Megvii and DeepGlint are getting immensely powerful and accurate in face recognition. Apps compulsorily installed in smartphones: The Chinese Uighur community in Xinjiang is required to install a government-designed app in their smartphones. This app tracks their online activities; often the police visits homes of the Uighur to collect data. Censored search engines that link to phone numbers: Google’s Project Dragonfly, commissioned specially for China, is, reportedly, aimed to let Chinese government know what searches are linked to which phone numbers. Stealthily breaking into computers: Authorities can break into computers and smartphones, take and transmit snapshots secretly and pass on graphic or text files, emails, passwords to authorities – all this without the target knowing it. To be fair, government mass surveillance pros and cons must be closely evaluated before writing off every government as a totalitarian Big Brother. The authorities use these surveillance practices without following due processes. They surveillance is carried out in the name of national security, but mostly it is used to achieve some political objectives, like silencing or sidelining rivals. Deals to buy surveillance technology and surveillance equipment are carried out secretly, for obvious reasons. That way, trade or international regulations may go for a toss. 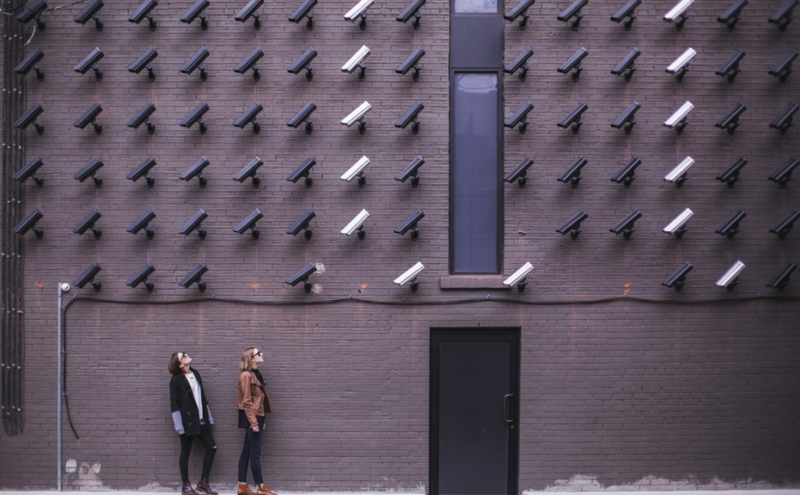 Unauthorized mass surveillance could be ushering in the Big Brother state terror – no different from the one visualized by George Orwell in his book 1984 about a totalitarian state. Surveillance is done in the name of national security and with little concern for privacy. Some people claim data collection efforts helps governments design incentive schemes, thwart terrorist attacks, prevent or undermine the impact of protests that could otherwise turn violent or punish tax offenders. Conversely, it can recognize and laud law abiding citizens, give them special benefits, offer better insurance rates to drivers who absolutely follow traffic rules and so on. Authorities worldwide have been unable to draw the correct line between unethical surveillance and data collection. The fact remains that collecting data by way of snooping is crass disregard for privacy rights.